John Martyn OBE, born Iain David McGeachy (11 September 1948 ? 29 January 2009), was a scottish singer-songwriter and guitarist. Over a forty-year career he released twenty studio albums. He grew up in Glasgow and attended Shawlands Academy. 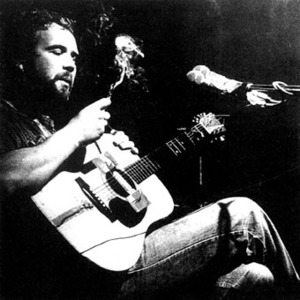 John Martyn moved to London from Glasgow in the mid 1960s. He made his initial recorded impact in 1967, at the age of 19, with his debut album London Conversation. He then quickly became an integral part of the British music scene, incorporating folk, blues, jazz and even reggae into his unique sound. He grew up in Glasgow and attended Shawlands Academy. John Martyn moved to London from Glasgow in the mid 1960s. He made his initial recorded impact in 1967, at the age of 19, with his debut album London Conversation. He then quickly became an integral part of the British music scene, incorporating folk, blues, jazz and even reggae into his unique sound. In the late 60s to early 70s he was close friends with Nick Drake, for whom he wrote the song Solid Air. The album of the same name remains an extremely moving album, as does the later Grace And Danger which documents his divorce from his wife Beverley with whom he recorded several albums (as John & Beverley Martyn). During the 70s John lived in Hastings on the South Coast of England. Whilst in Hastings he released, amongst others, the Live at Leeds album which he sold from his own house. Also during his time in Hastings John tried to help Paul Kossoff put his life back together. A long held alcohol problem didn't prevent Martyn from releasing twenty-two albums. In 2003 he contracted an infection that resulted in the amputation of part of a leg, an episode documented in the 2004 BBC documentary "Johnny Too Bad". He recovered, however, and continued to play, record and tour. In 2008, he was presented with the Lifetime Achievement Award at the BBC Folk Awards. He has influenced many songwriters and guitarists and is an artist whose stature only grows with time. He worked with artists such as Eric Clapton, Phil Collins, David Gilmour and Levon Helm. Sadly, he passed away on 29th January 2009.